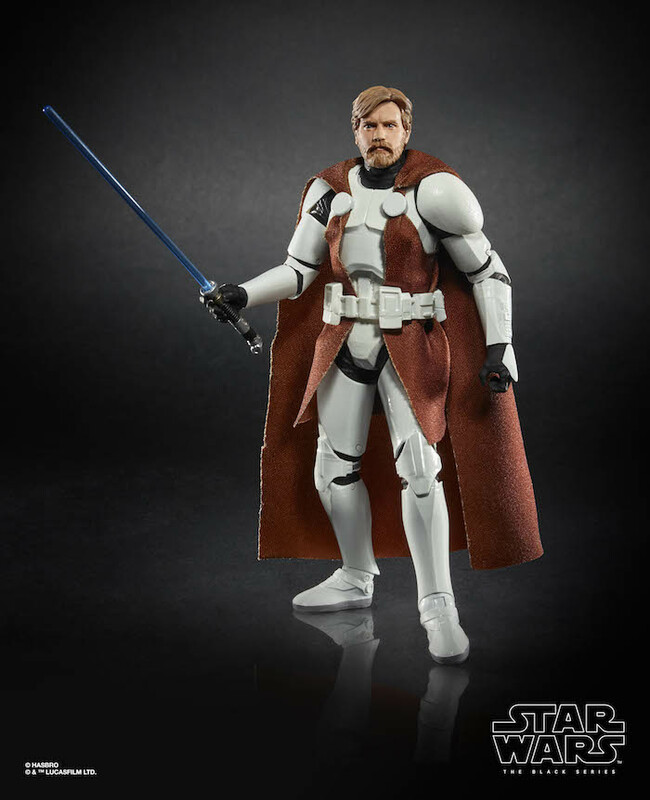 Hasbro Reveal Star Wars Black Series Obi-Wan in Clone Armor! As well as General Grievous! On preview night of NYCC Hasbro revealed a few more of their upcoming Star Wars Black Series figures. They also have other figures to show, which are under embargo at the moment and undoubtedly more will be revealed during NYCC. The two figures that they’ve revealed are a General Grievous and Clone Trooper armored Obi-Wan Kenobi! 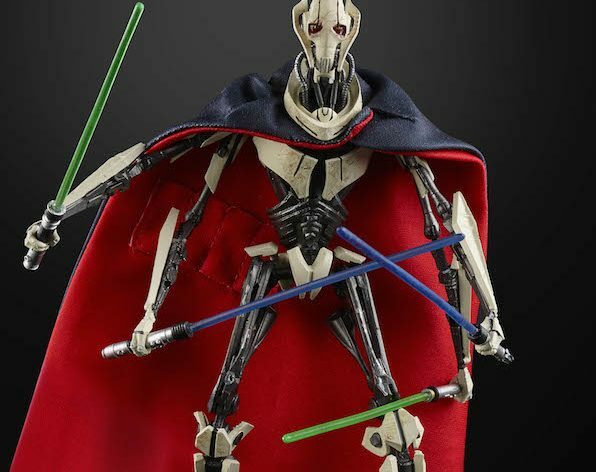 We’ve only gotten a model kit by Bandai and Elite figure by Disney of General Grievous. So I’ll be curious to see how Hasbro’s offering stacks up against them. I really do like the look of this figure as he has the four arms and four lightsabers, and a cloth cape. I’ll be curious to know if his arms can attach. It’s unclear how articulated he’ll be, but I can’t wait to put him in a diorama facing off against some clone troopers. 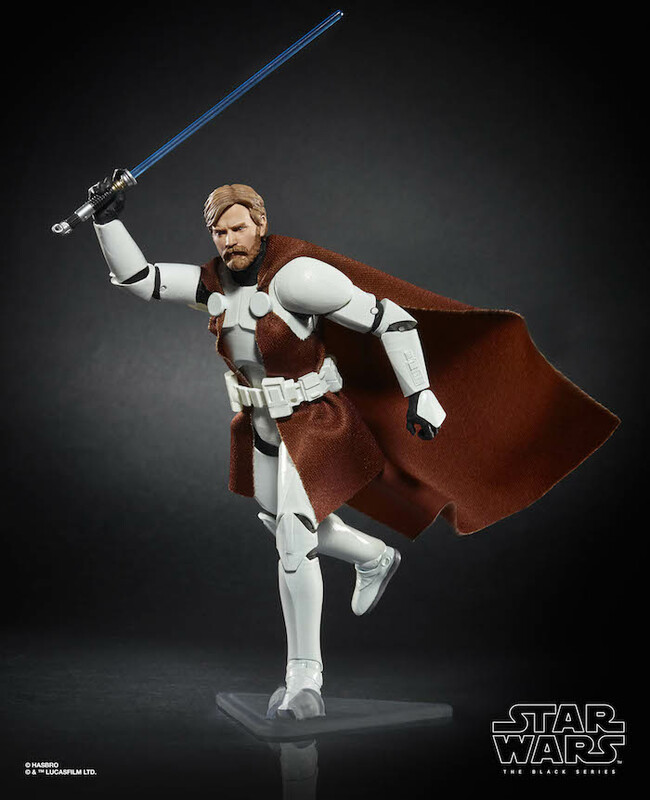 I wasn’t expecting them to do Obi-Wan Kenobi figure from the Clone Wars, that’s something completely left the field. It does look like a terrific figure though. Obi-Wan is wearing a Clone Trooper armor with a cloth cloak which is held in place by two clasps and his belt. The head sculpt on its own is a good enough excuse to get this figure, as it looks exactly like Ewan McGregor. I know that for the actual release they’ll use the face printing technique which will make it look even better. This is a vast improvement over the Obi-Wan Kenobi from Revenge of The Sith, which they released in the early days of the line. 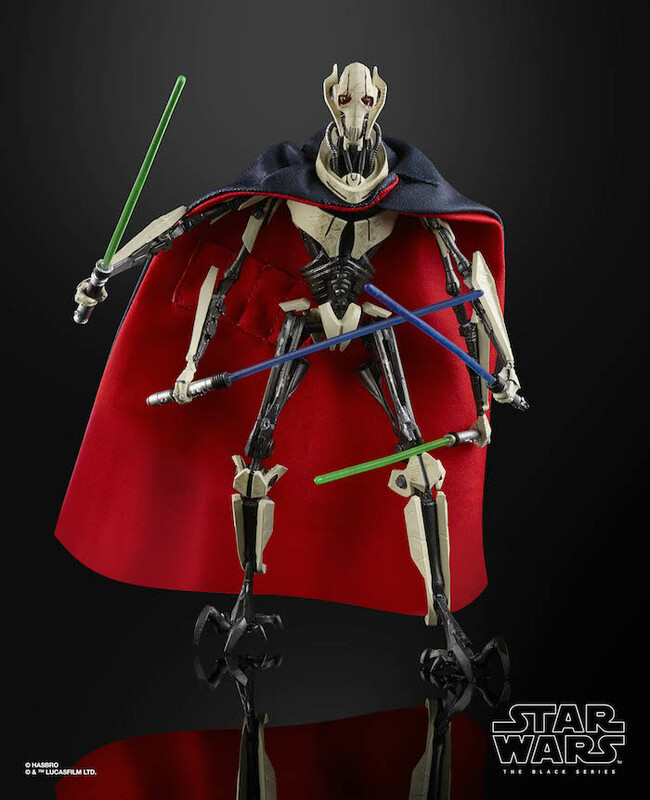 It should be noted that Grievous will cost $30 as he’s a larger scale figure and Obi-Wan will be a Walgreens Exclusive. 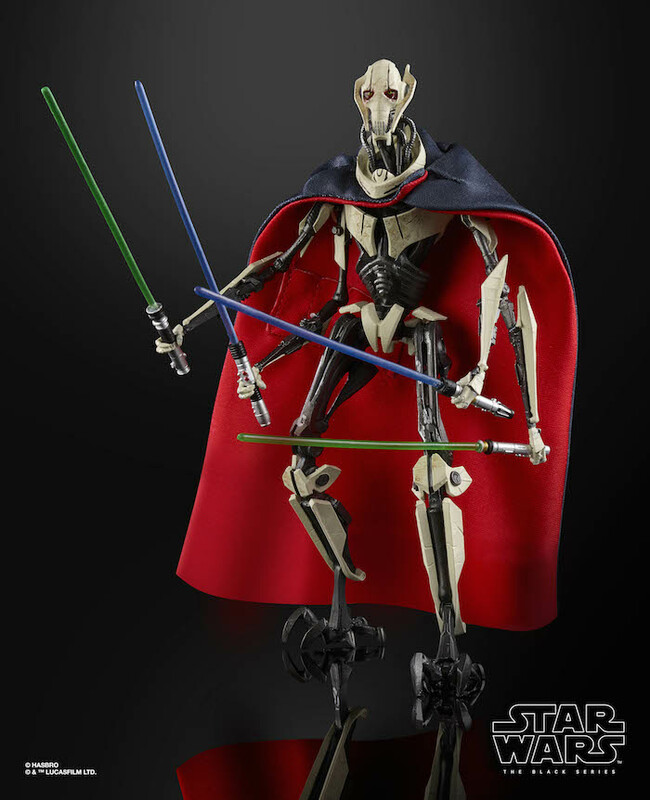 Also Grievous will be available in the spring whereas Obi-Wan will be released in the fall.